My boss is headed off to London next week for work. I asked him if he was staying at the fancy Marriott near the London Eye on the Thames. He replied that he was staying at a Marriott, but one out near Heathrow. Suddenly I don’t feel so jealous that he’s going and I’m not. 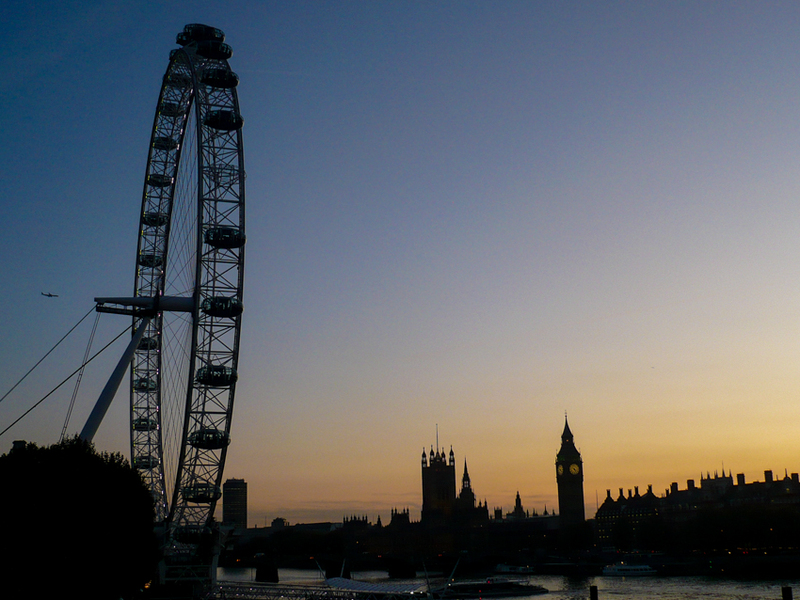 Anyway, here’s a nice picture I took a few years back when I visited London. If there weren’t a bushy tree in the bottom left hand corner of the photo, I think you could actually see that fancy Marriott in the shot. I need to go blow some points and stay there some day.